Located in the south of the Bordeaux region near the town of Langon, Sauternes is a large appellation with over two thousand hectares of vineyards in the southern Graves. Only sweet wines can be made with the Sauternes appellation although dry white wines can be sold as Graves. There are five separate communes with one of these, Barsac, with just over 400 hectares of vines, having its own separate appellation. Most of the domains are small with only 20 having more than 20 hectares of vineyards. The soils of the appellation are quite varied ranging from limestone of the higher slopes (where the classified growths are located) to sand, clay, gravel and alluvial beds. Rolling hills and valleys are a feature of the landscape located between the wide Garonne River and the smaller, wooded valley of the Ciron tributary. These two rivers have cold waters which help to produce cool morning fogs which give way to dry and sunny afternoons, perfect for the development of the botrytis cinerea, the noble rot necessary for the production of sweet wines. The highest point of the appellation is at Chateau Yquem at 80 metres. Easily the most expensive wine to produce in Bordeaux, the Sauternes estates were classified at the same time as the Médoc chateaux in 1855. The undisputed king of the appellation is Chateau Yquem that sits at the highest point of the appellation at 80 meters. The two grapes used for the production of Sauternes are Semillon with smaller amounts of Sauvignon Blanc. 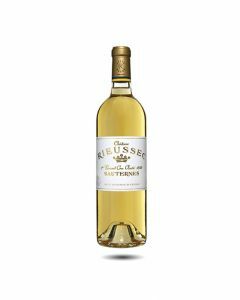 Although there are several styles of sweet wines in Sauternes, the wines of Barsac are sweeter, rounder with flavours of honey and white flowers. They tend to be lighter and fresher than Sauternes. Sauternes wines are more intense with flavours of roasted apricot and peach, vanilla, caramel and acacia. These wines can age incredibly well; they develop flavours of toasted brioche, butterscotch and white caramel. So intense are their flavours that the finish appears almost dry in its austerity. Often Sauternes does well in vintages that are not great years for red Bordeaux wines such as 2007, 2011 and 2013. 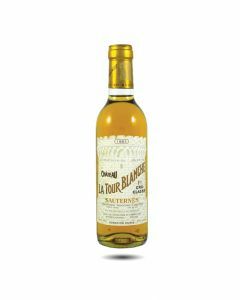 Sauternes and Barsac wines are very sweet indeed and for this reason do not pair well with desserts and puddings. They are better served with blue cheese, seafood dishes such as langoustine and lobster, nuts and are great served with the spicy, salty flavours of Asian cuisine. Bright and pure with a lovely fruity nose of apricots and grapefruits. 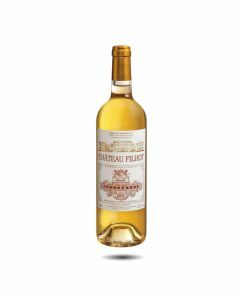 A very pretty Sauternes at a very good price. Instensely concentrated and very fresh. Very wel-made, a Sauternes with lots of character. A magnificent estate located in the heart of the Sauternes region which produces wines that are rich, succulent and very traditional in style. The nose is very expressive with notes of honey, apricots and stewed peaches. The palate has a very pretty sweetness, wonderful balance and stony mineral complexity. Bright and pure with a lovely fruity nose of apricots and grapefruits. A very pretty Sauternes at a very good price. Instensely concentrated and very fresh. Very well-made, a Sauternes with lots of character.